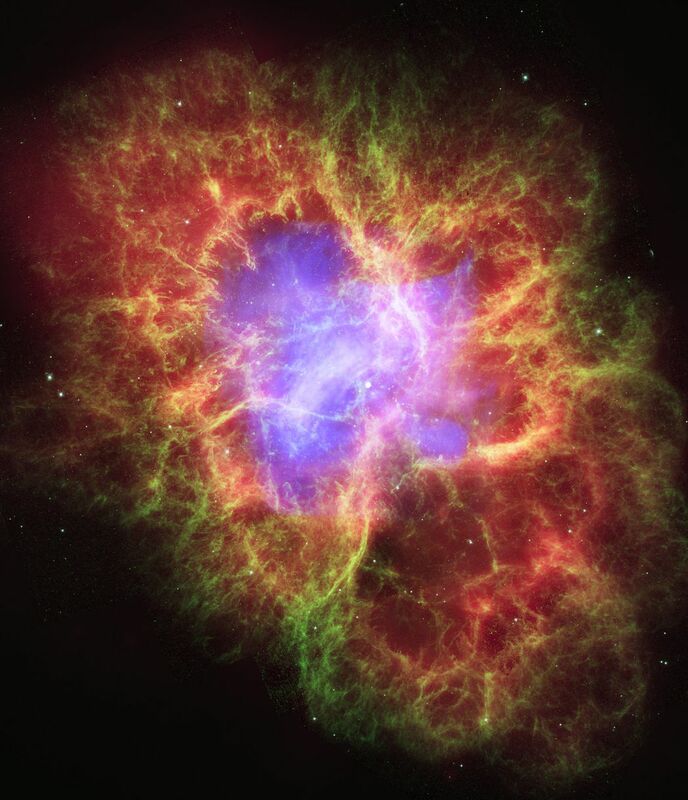 This composite image of the Crab Nebula uses data from three of NASA's Great Observatories. The Chandra X-ray image is shown in light blue, the Hubble Space Telescope optical images are in green and dark blue, and the Spitzer Space Telescope's infrared image is in red. The size of the X-ray image is smaller than the others because the outwardly streaming higher-energy electrons emitting X-ray light radiate away their energy more quickly than the lower-energy electrons emitting optical and infrared light. 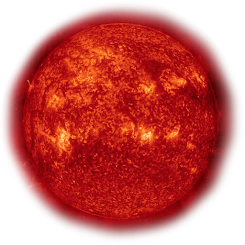 The neutron star, which has the mass equivalent to the sun crammed into a rapidly spinning ball of neutrons twelve miles across, is the bright white dot in the center of the image.